It’s somewhat refreshing to see a Swedeath band that’s actually from Sweden these days, since the style has been so widely copied around the world. 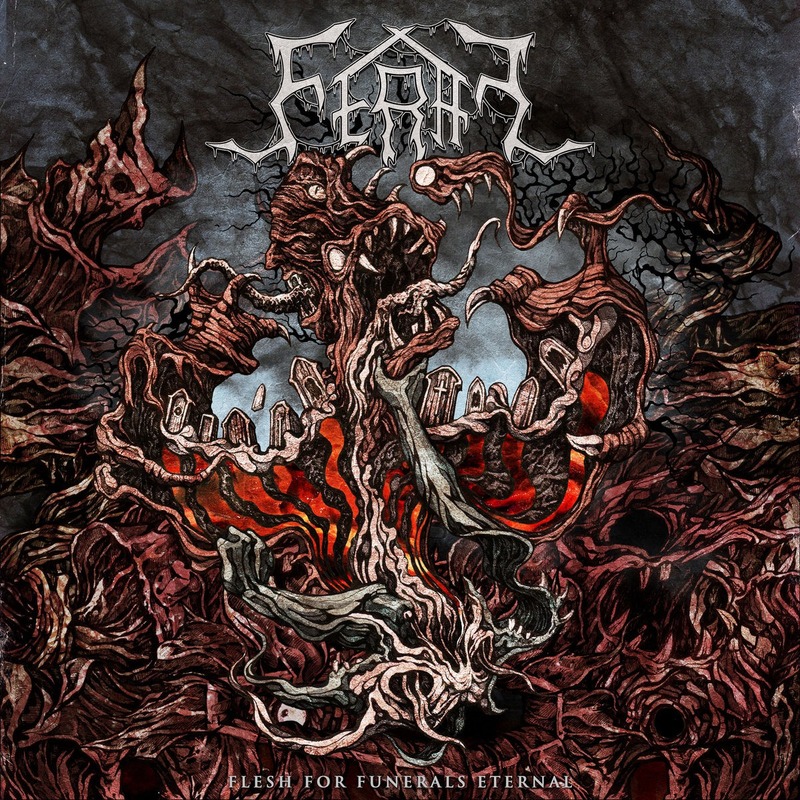 But that’s the case with Feral, who are now on their third album, entitled Flesh for Funerals Eternal. It’s hard to call Feral a revival act, considering they’ve been around since 2007, but their sound is certainly older than that. Flesh for Funerals Eternal is vintage Swedish death metal through and through. One of the most noticeable features of Flesh for Funerals Eternal is its robust production which makes the buzzsaws and crusty d-beats sound massive. In that respect it might be fair to say that Flesh for Funerals Eternal represents a bit of a modern facelift, but it’s only in terms of production. Musically the album doesn’t stray too far other recent Swedeath acts, particularly Entrails or Rogga Johansson’s Revolting. It has rollicking, punky grooves, a viciously crunchy tone, even by HM-2 standards, and a savage vocal performance from David Nilsson. There are some seriously catchy numbers here that follow a standard verse/chorus arrangement. The album has a solid grasp of tempo shifts and dynamics. It comes charging out of the gates with “Vaults of Undead Horror” and “Black Coven Secrets,” but it’s the mid-tempo stompers like “Of Gods No Longer Invoked” and the chorus of “Gathering their Bones” that work best. On tracks like this the band inject enough little songwriting tricks to make it memorable, whereas the faster tracks kind of just blaze along. Sure, they’re angry and intense, but they don’t possess quite the same charm as the slower tracks. An additional minor flaw comes in the form of the choruses sprinkled throughout the album. They mainly consist of the song titles, giving the tracks a feeling of predictability. If you’re worn out on Swedeath stay far away from Flesh for Funerals Eternal since that is all it has to offer. But, if you have room in your heart for yet another competently performed example of the style, then by all means give Flesh for Funerals Eternal a shot. It’s everything a retro Swedeath album should be-catchy, groovy, and off-the-rails intensity. It has the energy and songwriting to appeal to fans of the genre, just don’t be surprised if you want to bust out Like an Everflowing Stream or Into the Grave after listening. 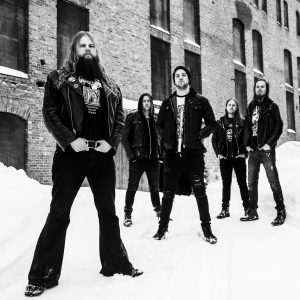 This entry was posted in Death Metal, Reviews and tagged Death Metal, Dismember, Entombed, Feral, Flesh for Funerals Eternal, Grave, Ribspreader, Swedish death metal, Transcending Obscurity.